The experience of visiting Niagara Falls was a major highlight of a two week stay in south-west Ontario. But for all of the visitors flocking to Niagara who are as impressed as I was by the amazing sight of the Falls, not everyone shares such enthusiasm. I’ve spoken to a couple of people who were rather underwhelmed by their trip, and travel forums include the occasional account of tourists who are critical of a town which has, in some areas, become overly commercialized and can feel quite tacky. This is most true when straying from the road that runs parallel to the falls, but it’s certainly no reason not to visit. 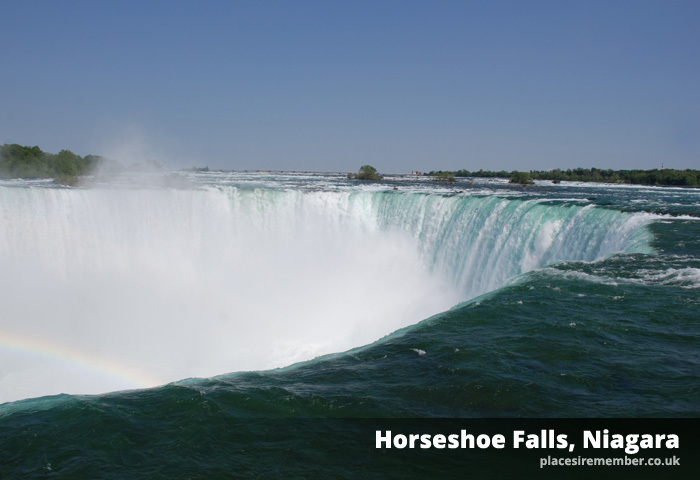 Little can prepare you for the sheer magnitude of the Horseshoe falls, where more than 2 million litres of water pour over its 167ft summit every second. I arrived by rail, with the station situated approximately a half hour leisurely stroll away from the main attraction, most of which is along a single main road that borders the water as it flows downstream toward Lake Ontario. Rainbow Bridge – linking Canada to the US state of New York – is to the left along the route, by which time you’ll have long since heard the roar of the water pouring over Horseshoe, and spotted the mist in the air. On arrival in the town itself, there are gift shops and restaurants aplenty, but most are set back a comfortable distance from the wall bordering the river, and certainly don’t give a sense of intrusion if you are wanting to stay as clear from the commercial side as possible. Similarly, you need not get anywhere near touching distance of the Skylon tower or the take-off point for helicopters offering short but expensive trips providing overhead views of the falls. If your purpose if to simply take in one of the finest natural sights in the world, then it’s entirely possible to enjoy without feeling like the money-making opportunists are ruining your experience. 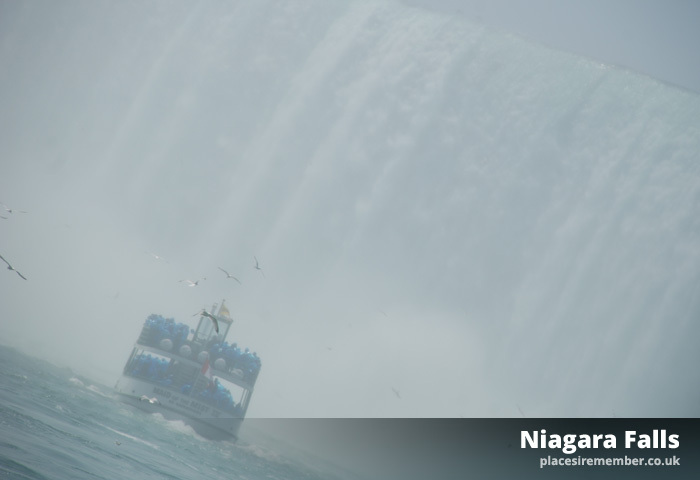 However, one activity that can definitely be recommended is the Maid of the Mist boat ride, taking you on a boat trip ‘into’ the mist generated as water sprays into the air after plunging over the waterfall. A poncho is standard – you will get wet – and it is most enjoyable in less crowded times of the day/year. For those wanting a bit of Vegas – or Blackpool – the town offers plenty of amusement attractions and casinos. And regular firework displays take place throughout the year, with multi-coloured lighting illuminating the falls and giving a different, but equally spectacular view of the falls by night. If you’ve ever wanted to plan a trip to Niagara Falls, don’t allow yourself to be dissuaded by any negative remarks. Niagara Falls is around 2 hours drive from Toronto, and the railway station is on the VIA Rail route operating between Toronto and New York City.